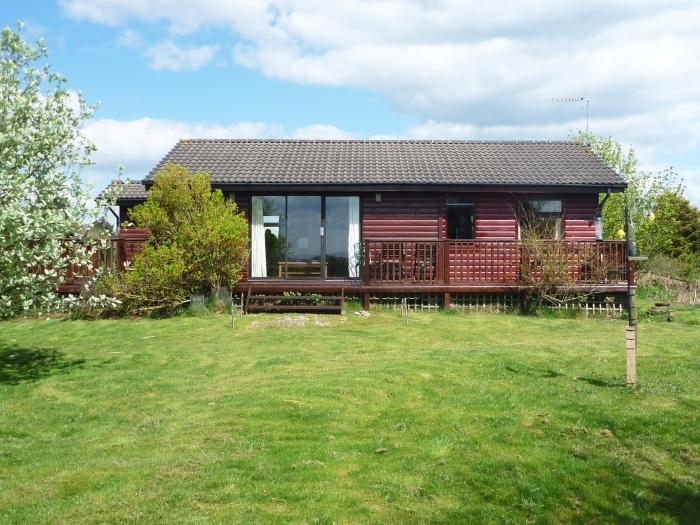 The Vital Spark is tucked away on the spectacular Galloway Coast, it is a charming chalet with all the comforts for a relaxed holiday. You know you have started your holiday when you arrive at Carrick shore. 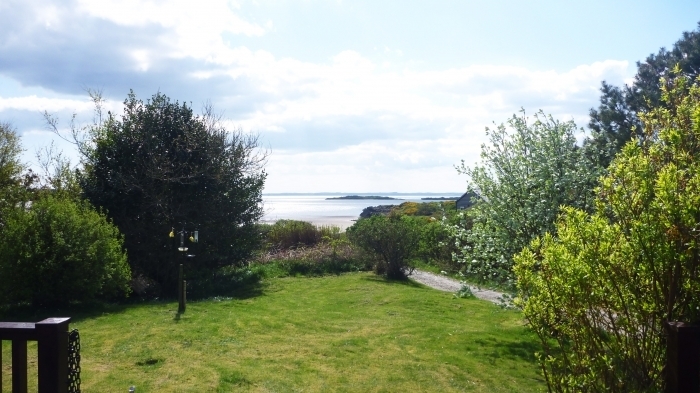 Tucked away on the beautiful Galloway Coast, a delightful self catering chalet with all the comforts for relaxed and easy living. 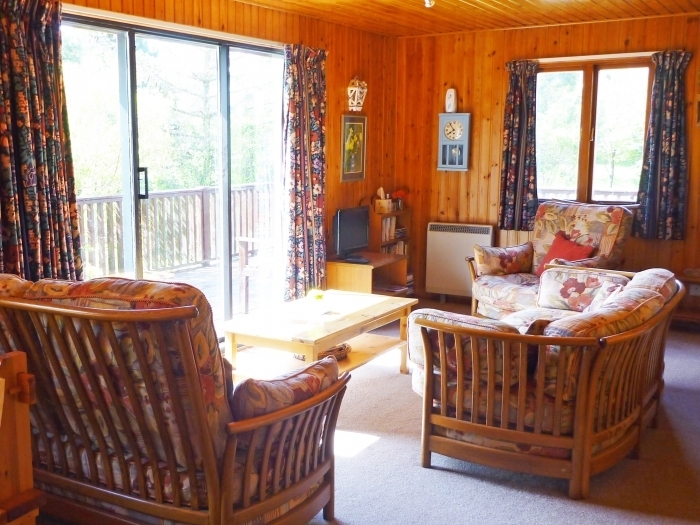 Set in its own grounds, this holiday home is part of a group of beach houses and has magnificent views from the public rooms. 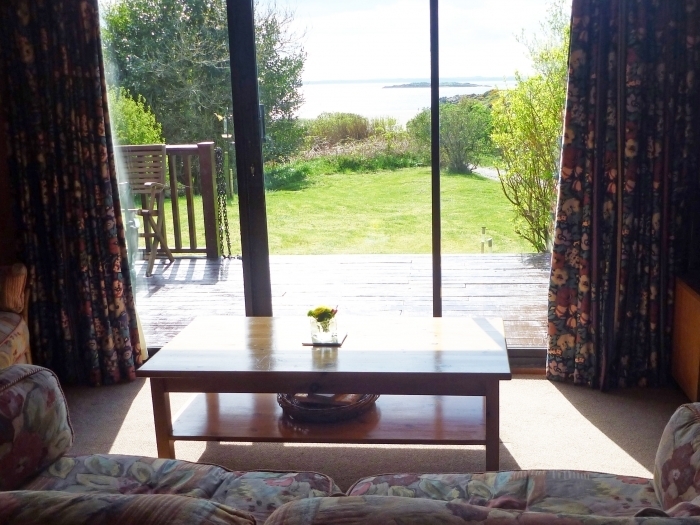 The French doors make the most of those wonderful views as well as allowing the light to come flooding in. From the lounge you step out onto the large decked veranda which offers a special space for enjoying the local wildlife, views of the bay and outdoor dining. Also, when night falls you can enjoy very dark skies as it was confirmed last year by the International Dark Sky Association that Galloway is one of the best places for star gazing in the world! Three steps take you up to the entrance of The Vital Spark and the accommodation on one level has two comfortable and cosy bedrooms. The master has an en-suite bathroom as well as a large picture window to enjoy the scenery. 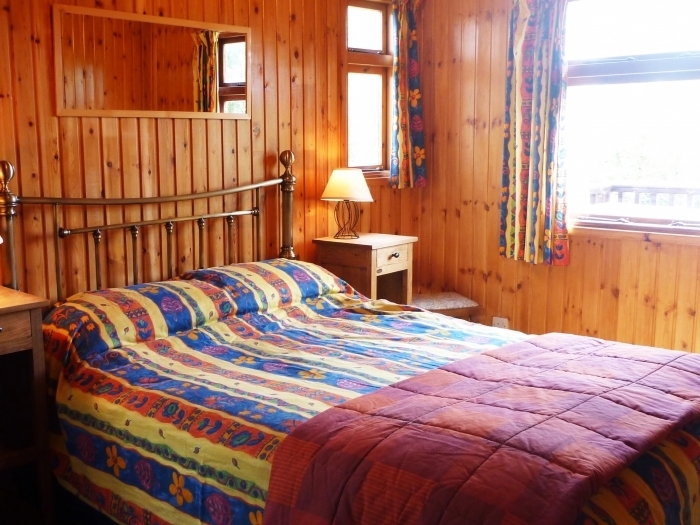 The second bedroom is a twin room, also with window to the rear of the property and has a bathroom next to it. The kitchen/lounge/dining area, tastefully furnished, is open plan making a good social space. This unique rural setting with its sandy beach allows you to swim, sail, windsurf or canoe all only 100 metres from your holiday home. Close by is the Cream o' Galloway Visitors centre which is not only well known for its award winning ice-cream but where you can have an action packed day. Gatehouse of Fleet is a short drive away and offers shops, restaurants and pubs. 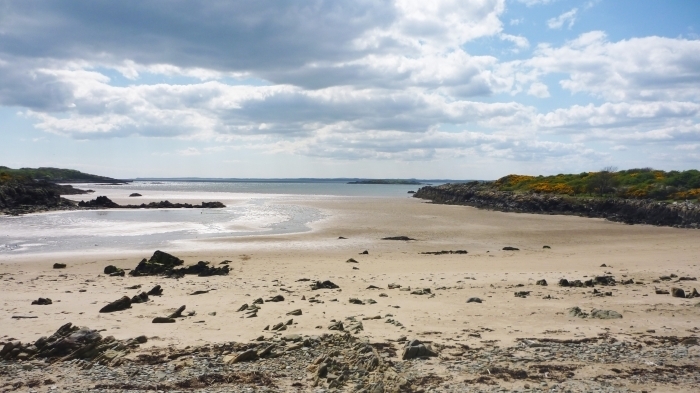 This is an area of unspoilt natural beauty and has some of the best scenery found in Scotland and there is so much to do and see for what ever type of holiday you are looking for. This is truly a haven of peace and tranquillity. Three steps take you to the entrance and on the left outside is a utility room housing the washing machine. All on one level is the open plan sitting/dining/kitchen room with French windows to the spacious decked veranda with garden furniture. 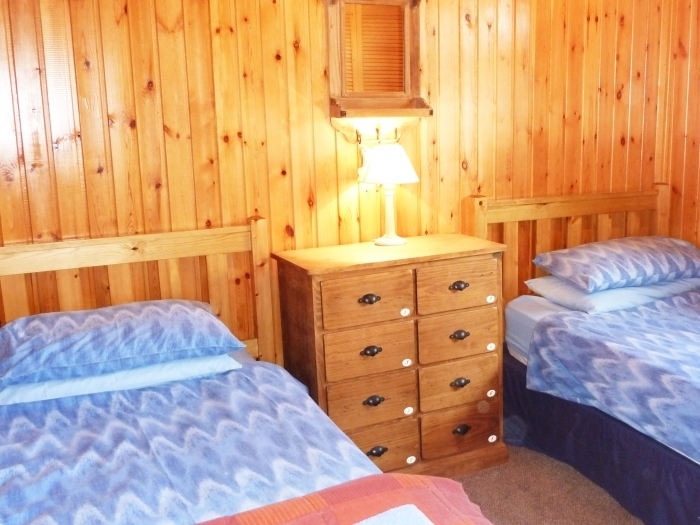 A cosy twin room, with shower room next door. Master bedroom with en-suite bathroom. Outside parking for two cars and garden area.